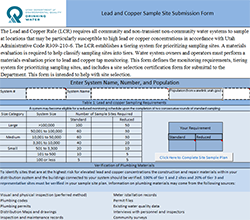 All community and non-transient non-community public water systems are required have and maintain an approved LCR Sample Site Plan. 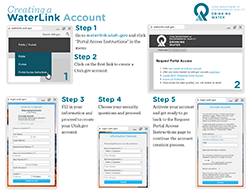 The Division has created an easy to use template that can be used and submitted through a waterlink portal account. Follow the instructions in the PDF document below, or watch the first part of our webinar about WaterLink for a detailed walk-through. Watch the second half of our webinar about WaterLink for a walk-through of how to upload files into WaterLink. If you still need help, please contact us at (801) 536-4200.